International Market Centers (IMC) announced today a three-year, $280 million dollar investment in new initiatives to enhance its markets in Atlanta, High Point and Las Vegas. Elements of the plan, which will be implemented over the next six-24 months on all three campuses, include category enrichment and extension, launch of new verticals, strategic remerchandising of existing resources, digital and mobile platform enhancements, and physical improvements in arrival areas and public spaces. Hannover Fairs USA, the organizer of DOMOTEX USA, today announced that it has published its latest #whyidomotex interview, featuring Jerry Arcari, founder of Landry & Arcari Rugs and Carpeting in Boston. 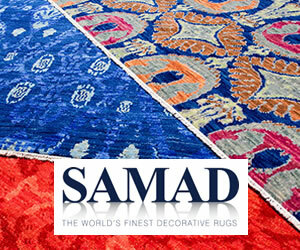 With three stores in the Boston area and an inventory of more than 12,000 oriental rugs and broadloom carpets, Landry & Arcari is a staple of Boston’s floor covering and interior design communities. A link to Arcari’s interview is located on the DOMOTEX USA retailer’s page at domotexusa.com/retailers/. Major expansions, notable new additions and buzzworthy programming are driving excitement for The Atlanta International Gift and Home Furnishings Market®, running January 8-15, 2019 and The Atlanta International Area Rug Market, January 9-13, 2019. International Market Centers reports buyers will discover more than 9,000 brands across all categories of home furnishings, décor and gifts showcased in more than 1,400 showrooms and 3,300 temporary booths at the first major Market of the year. A fresh array of fashion colors takes center stage at Kalaty showrooms during the winter 2019 Atlanta and Las Vegas markets. 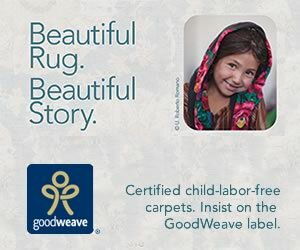 The company’s latest heirloom quality area rug introductions feature updated colors for every style genre, weave and construction. Color palettes that range from warm & spicy to cool blues & greys to rich jewel tones to soft pastel shades ensure that Kalaty has something for everyone within their latest traditional, transitional and modern rug offerings. Leading floor covering and home accents manufacturer Nourison will introduce abstract patterns, Persian designs, and shag rugs at Atlanta and Las Vegas Markets. 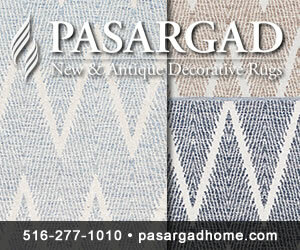 New area rug collections with rich, abstract designs include Artworks and Etchings. Majestic features dramatic, ornate designs of authentic Persian rugs. Silky Textures presents a range of styles including eclectic mid-century, abstract and traditional Persian designs.